Description: This India Pale Ale is part of the brewery’s regular lineup and is a signature example of a hop-forward fresh-hopped Pacific Northwest IPA. Compared to other IPAs, its malts are slightly subdued and its color lighter than usual. In terms of bitterness, it has a potent, but altogether drier and subtler hop profile. Tasting Notes: This beer was definitely one of the lighter-tasting IPAs I’ve ever had. Its lower gravity – which resulted in malts that were not particularly coarse or sugary – combined with fresh hops, produced a less intense, but still potent, citrus flavor. All in all, I found it a highly pleasant beer and a interesting change of pace from IPAs that tend to be both sweet and profoundly bitter. 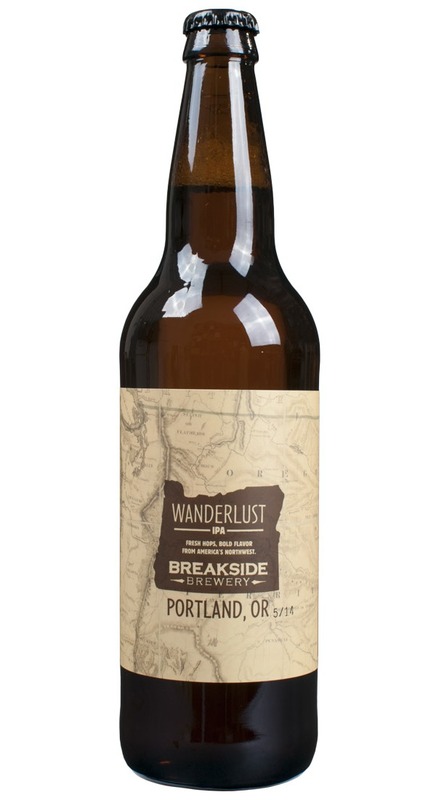 This entry was posted in Reviews, US Beers and tagged Breakside Brewery, Breakside Wanderlust IPA, fresh-hopped, hop-forward, India Pale Ale, pacific northwest beers by storiesbywilliams. Bookmark the permalink.